[Song Teaser-Test Report] Jam Afrique and String test | Part 3 – Play UBass! Besides the YouTube video below I also uploaded some versions with less instrumentation (and maybe a bit better sound) on my Soundcloud. Track 1: UBass into Sheer Acoustic Headway EDB-1 then DI out to Universal Audio Apollo (sound card with built in digital mixer and effects from their UAD family). Track 2: AKG C414 condenser mic. I have come to the following conclusion based on the recordings. I guess I like both string types but they do have some things that sets them apart. I have played these strings (that come as stock/standard strings on new Kala Ubasses) for more than two years. I have actually been using the same strings the whole time! I did buy a spare set early on to be safe and prepared for emergencies… Since the strings are solid plastic rubber they are unlikely to break and there are no place for sweat and dust to ‘creep’ in. (As with regular wound strings). I have not felt the need to change them. I have however felt that I should have restringed and rewound them to get rid of the extra turns of string that I got. Especially on the A-string post. This is also one thing that sets the strings apart. There are quite a lot of tuning to be done in the beginning but once they settle in you’re fine. As I wrote earlier restringing one or two strings, stretching them a bit more, would have been a good thing to do! I know there are players that have done this a few times and then they felt they stayed in tune better. More about this in the Thunderguts section. Ok. How do I feel about the sound and playability of these strings? Well, I have got quite used to the feel of the Pahoehoe strings under my fingers. I took a while to get used to the rubbery feel – well, it’s almost rubber so that alright I guess 🙂 I think you should try to ‘forget’ about how it feels playing this or that bass and/or strings. If you instead try to do the best of this ‘new and maybe strange’ feeling you’ll soon be on the way to make great music with these strings. On the minus side. The Thunderguts have a ‘sticky’ feel. Especially on the thicker strings. This makes them a bit harder to play. Since I have the fretless version I do want to have the option to do slides and this is a bit diffucult to do when you feel like you get ‘stuck’. I don’t know if this will disappear after some use!? But I have read about other UBassists that have had the same feeling. I will keep the Thunderguts on for a while longer to try some more playing techniques! Stay tuned! The E and A strings are ”sticky” making it very difficult to slide on my fretless. I was about to change them to Pahoehoe, but the Thundergut strings sound much better. I used some Dr. Stringfellow cleaner and this improves the feel. I am very happy with the Thundergut strings. Great tip, Greg! I wonder if I can get a hold of that in Sweden? Guess I could order it. Do you know anyplace online that has it? Dr. Stringfellow is easily purchased here in the US. It might be difficult to send (legally) by post, because it is a petrochemical. There should be a similar product in European countries. Thanks! I’ll try to find something similar here in Sweden. Pingback: Kala Solid body UBass review of the S.U.B and Custom California! 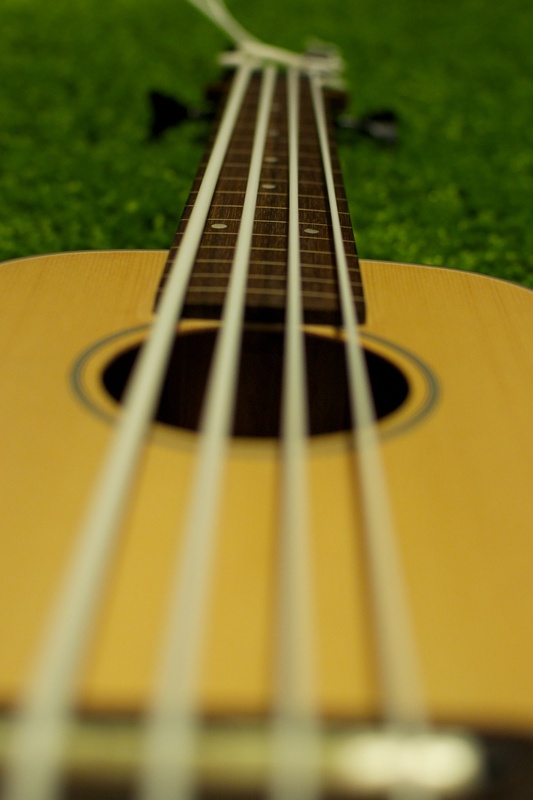 | Play UBass! Pingback: String Review of the Aquila Thunder Reds | Play UBass!